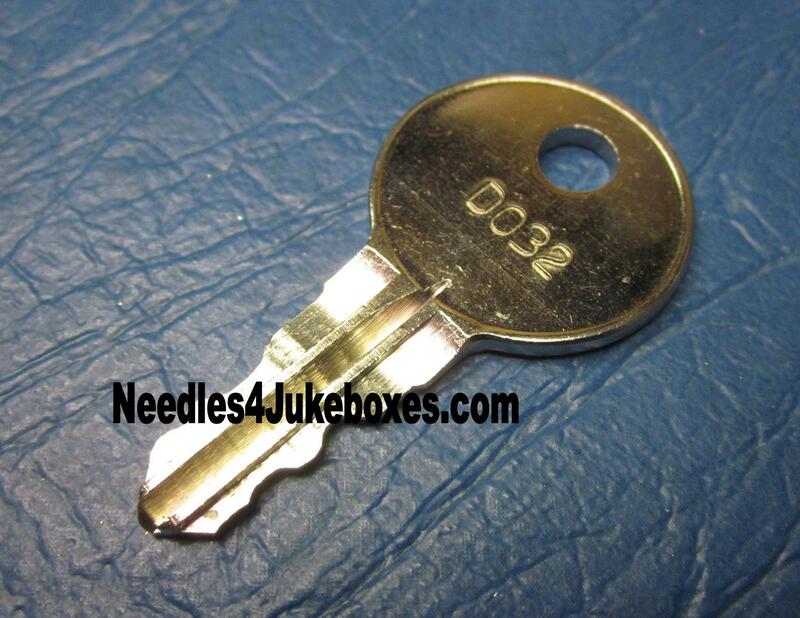 Need a Key for your Rockola Jukebox? 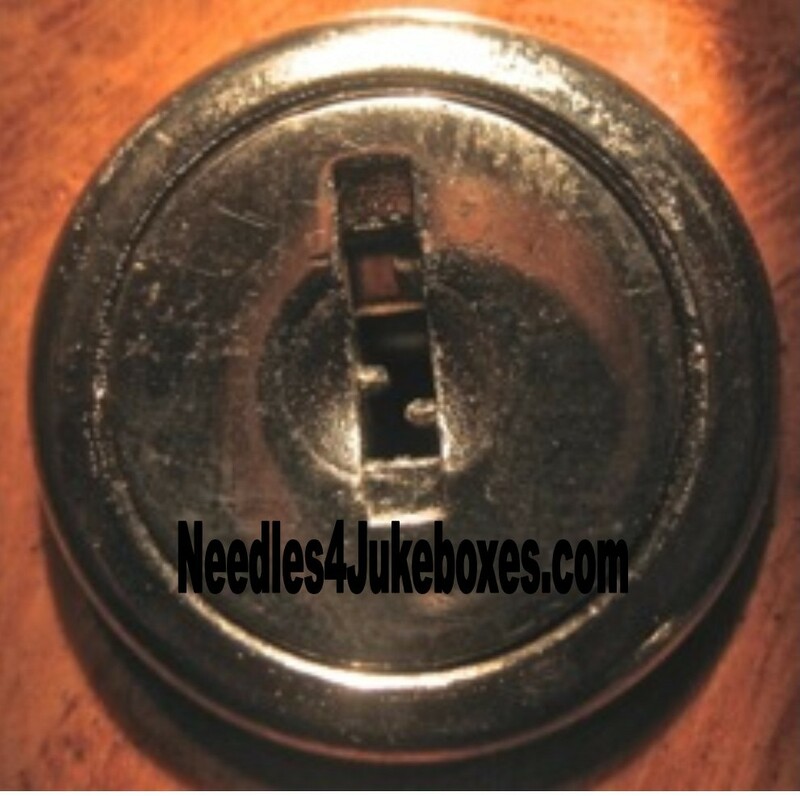 The keys I offer are for the original factory installed cabinet locks that open lids, front and back doors. 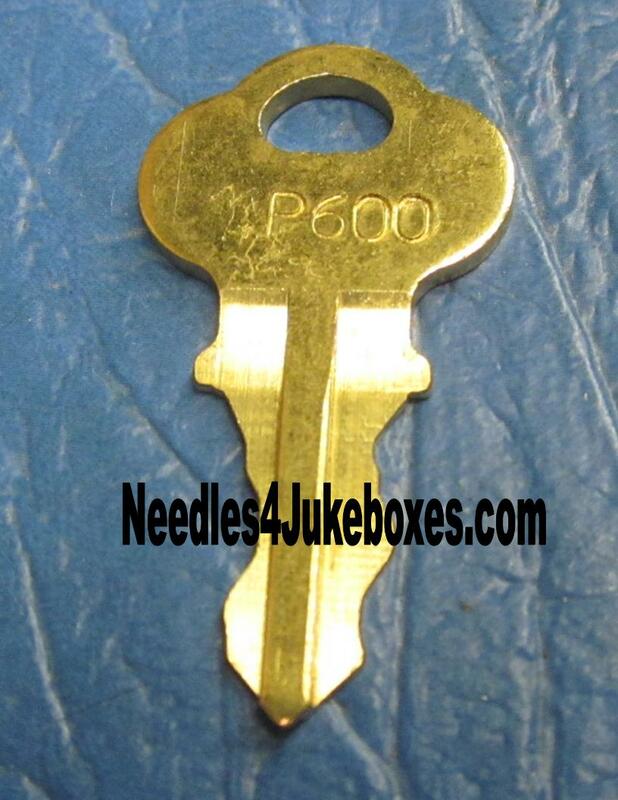 These keys will not fit cash box drawers or non-original cabinet locks. 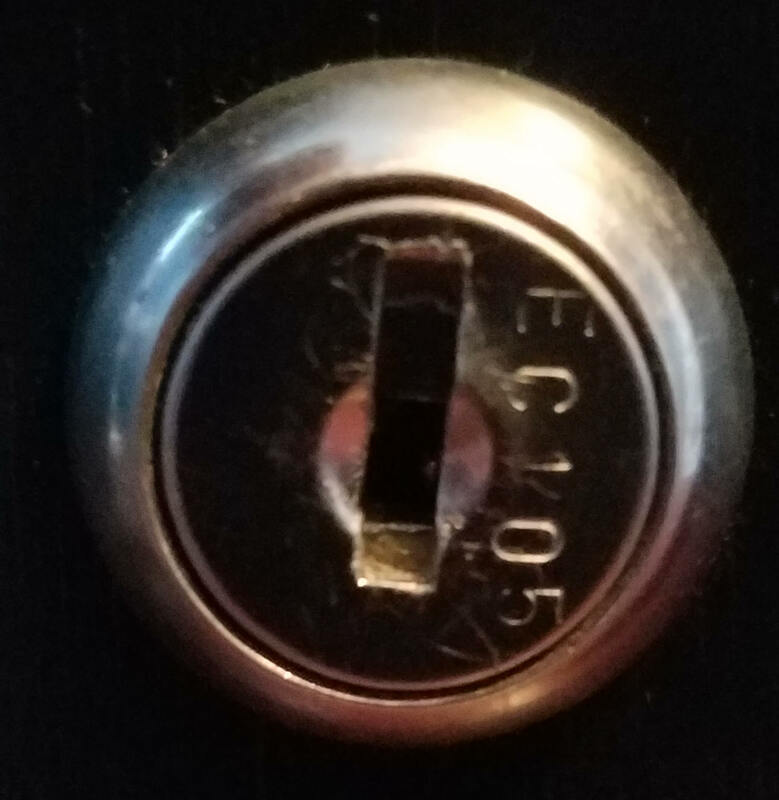 Every cash door lock is unique and there is no source for them. If you're missing the key to your cash box door, there are two solutions: Replace the lock or have a locksmith fit a new key. 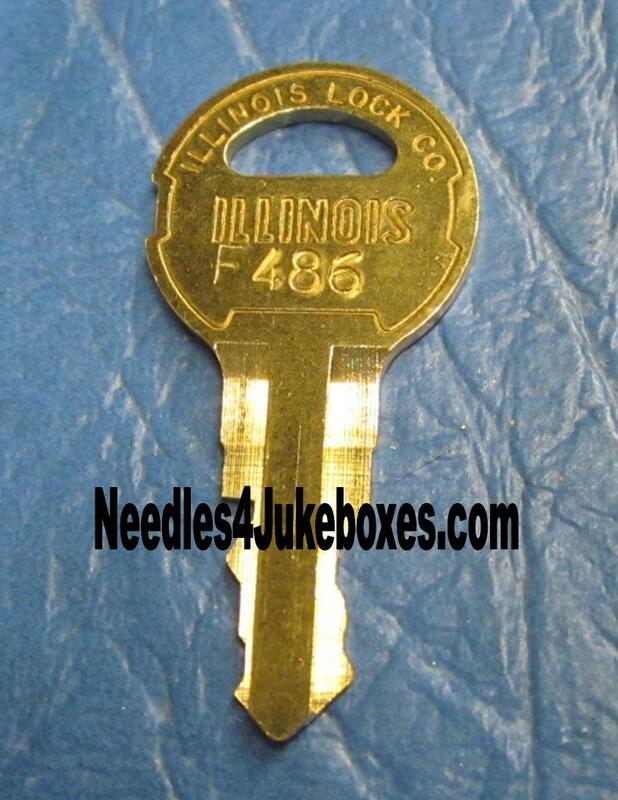 The RO-62 fits Rockola the 1428 with original "Bell" brand cabinet lock. 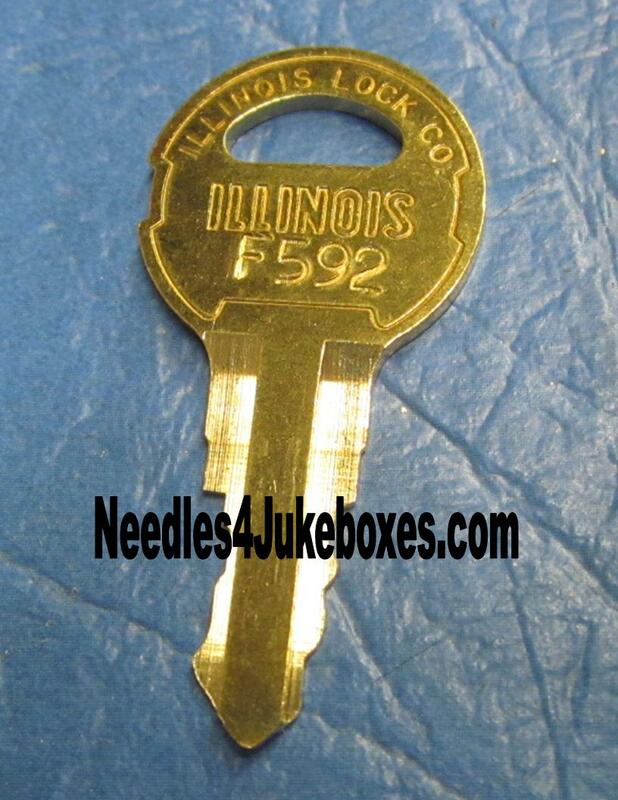 The Rockola F486 key fits: 1484, 1493, 1494, 403, 404, 408, 414, 418, 424, 425, 426, 429, 430, 431, 432, 433 & 434 models. 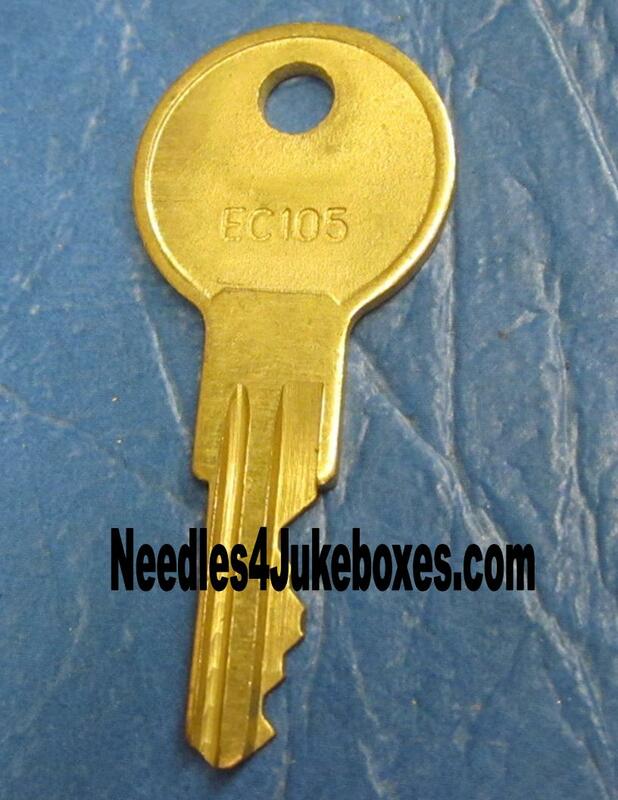 The F593 key fits Models: 1432, 1434, 1436, 1438, 1442, 1446, 1448, 1452 & 1454. 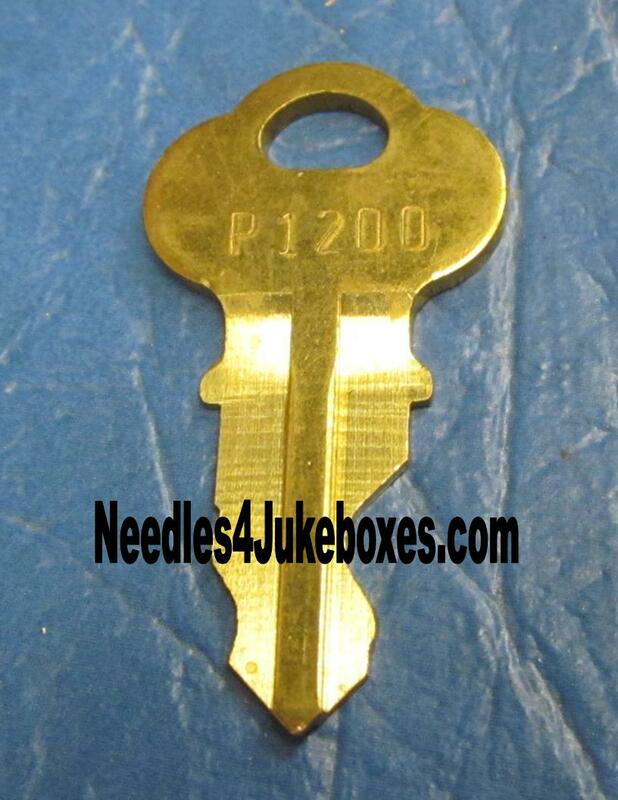 The P1200 key fits the 2000X thru current production CD playing commercial Rockola Jukes. 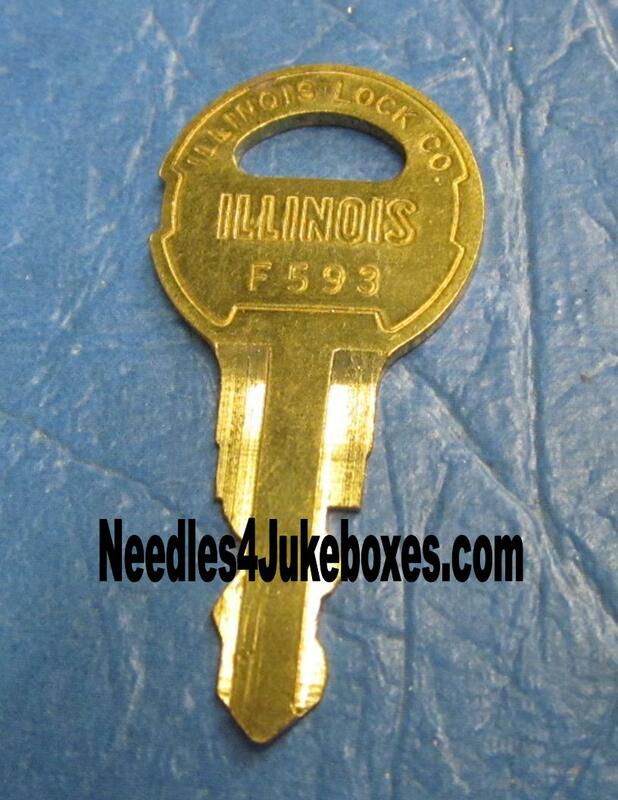 Need Replacement Locks for Your Rockola? 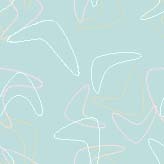 Click to our lock page and check out our complete line of replacement locks!